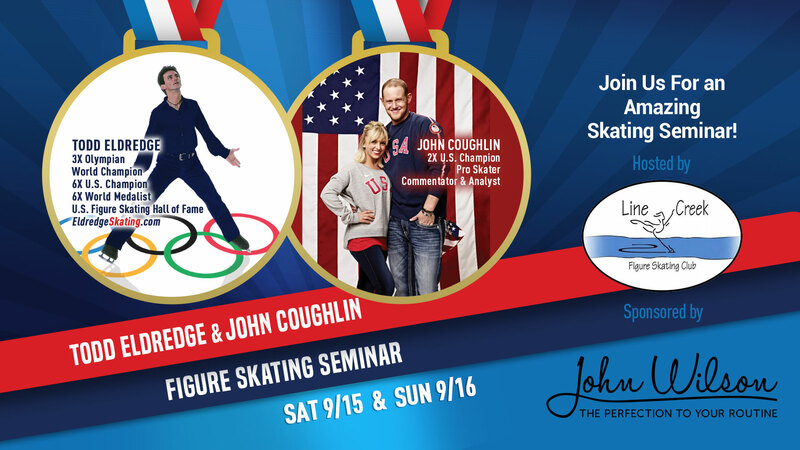 Come Join Us For a 2-day Seminar with Todd Eldredge & John Coughlin! Limited to 25 skaters per class so, hurry and grab your spot! Priced Per Class! Create your own camp! Dinner with Todd Eldredge for skaters participating in the Adult Class! All classes open to skaters landing single loop jump and above. Easy online registration – click here to register.